Southern California Edison is pre-staging backup portable power generators like these at substations in Santa Barbara to provide replacement power should there be a major outage. Southern California Edison power lines in the Santa Ynez Mountains bring electricity to the Santa Barbara area below. Two Southern California Edison towers in the Santa Ynez Mountains above Santa Barbara support power lines that supply electricity to the area. Southern California Edison workers drive up into remote parts of the Santa Ynez Mountains above Santa Barbara to inspect the power lines that supply electricity to the area. Sandbags and plastic tarp have been added to several Southern California Edison transmission towers that provide electricity to Santa Barbara as an extra measure of protection during the rain that may come during El Niño. 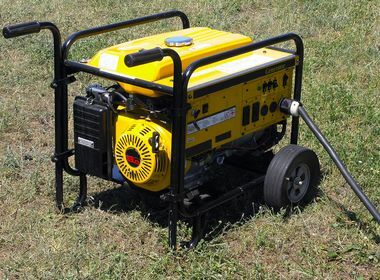 Lines are being checked and portable generators and replacement equipment will provide backup power. Nestled between the Santa Ynez Mountains and the Pacific Ocean, Santa Barbara is known for its scenic beauty. But the same location that makes Santa Barbara so picturesque also puts it at unique risk for a major power outage. 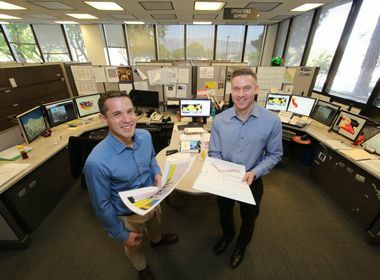 Santa Barbara’s geographic isolation in Southern California Edison’s service territory means it is primarily served by two 220-kilovolt transmission lines coming from the east — and those two lines are carried on the same towers. This makes Santa Barbara vulnerable to a potential major outage should a major landslide or fire take out the lines. See more about preparing for El Niño. With a strong El Niño predicted, SCE is taking extraordinary measures to prepare Santa Barbara for the remote possibility of such a catastrophic event. He said there was a low probability the Santa Barbara transmission lines would fail, noting they have weathered major fires, earthquakes and significant wind and rain storms in the past. One of the biggest tests was during the 1997-98 El Niño when two 220-kilovolt towers and one 66-kilovolt tower were damaged in a landslide, but the power remained on. But out of extreme caution, Grigaux said, SCE is undertaking various proactive measures, including increased inspections, reinforcement of structures, advanced staging of equipment and preparing a backup plan to replace the 250 megawatts of electricity Santa Barbara uses during peak demand in the winter. The inspections included the concrete footings of the transmission towers, which have been the subject of community concern about erosion. Grigaux said the inspections determined the damage to be cosmetic and no cause for structural concern. SCE’s goal is that if there is a major Santa Barbara outage, most customers will have power restored within 24 hours. “We are taking care of one of our communities — the one out of all of our communities anticipated to be the most at risk of being significantly impacted by an at El Niño event,” Grigaux said. He noted SCE is also taking preventive measures throughout its 50,000-square-mile territory to secure lines and facilities. SCE officials recently met with Santa Barbara elected, government and business leaders to explain their planning, which Grigaux described as “unprecedented.” Santa Barbara emergency management officials and first responders also have been included in the planning. 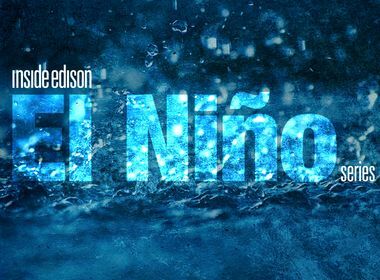 The business community has been included in SCE’s El Niño outreach. About 50 Santa Barbara-area business customers recently attended one of SCE’s periodic outage schools where they learned about the El Niño planning. They also learned how to prepare their business for potential problems during a storm and contact information if the power goes out. Grigaux said SCE wants to err on the side of over-preparation in Santa Barbara because of the predicted intensity and unpredictability of this El Niño. “Success will be that, come April and nothing has happened, we’ll say, ‘Wow, that was much ado about nothing,’” he said.